Every day, as if on cue, he steps into our closet and lets out an exasperated sigh, “WE HAVE TOO MUCH STUFF.” Personally, I think its more of an organizational issue over volume, but he is nonetheless convinced. Knowing that we will return to the boat inhibits us from accumulating many things, but when it comes to books and clothes, we sort of went nuts over the course of the past year. 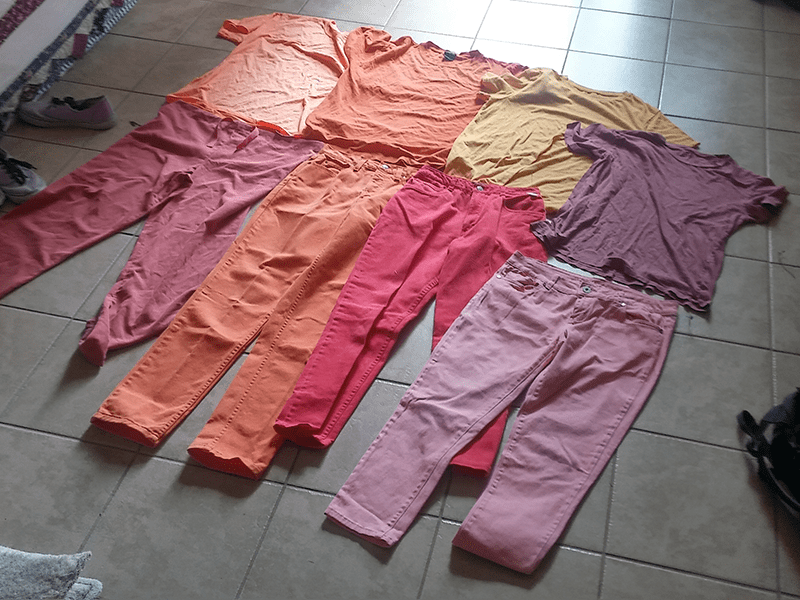 Fabio churns through work clothes, searing them with rough work and chemicals. I have to look presentable for office visits, and be comfortable for yoga and general healing. At this point, I can expect that whenever I walk up to the check out counter at the local thrift store, no matter what is in my hands, I will be met with the same greeting – “That looks like about five dollars…” And so our stuff stacks get higher and topple. On a potentially related note, being somewhat housebound will drive me down crafting rabbit holes quite often. Most recently (in the midst of a clothing purge), I became interested in ways to upcycle our already second-hand things for gifting or sale. 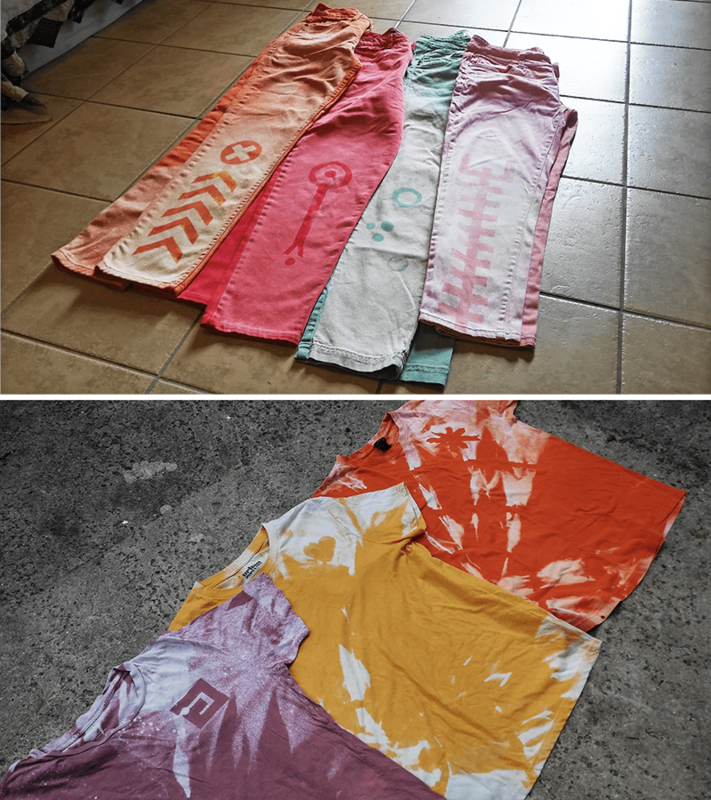 After a few random successes and a few more teachable failures, I came to rest on a bleach-dye process that merges some of the control of batik with the random outcomes of tie-dye. Last night we made pizza with a few boat friends, and James Baldwin of Atom regaled us with the time he financed a tour of the Pacific with a box of 150 rock and roll t-shirts he provisioned in Miami. The idea of American tourists going to Tahiti and spending 25$ on a t-shirt from Miami is a hoot. As aimless as it feels, as far away from boat life I am with this full closet of stuff, maybe this downtime will end up fruitful after all. At the very least I have an answer to Fabio’s opinion of our accumulated stuff – “IT’S INVENTORY!”, I reply. You are currently browsing the yard category at plankton every day.